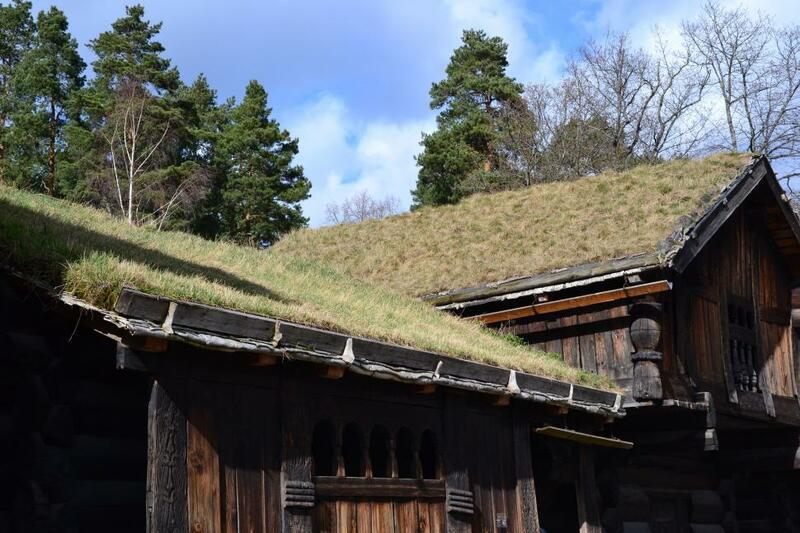 Green roof on the ancient wooden building. Open air Norwegian Museum of Cultural History. Oslo, Norway.